Join a class or complete the program on your own. Our 21-day detox cleanse uses whole foods, supplements and mild exercise to help your body recover from the constant barrage of chemicals in our everyday lives. We use many different tools for nutritional wellness, but one of the most popular and most effective is the Purification Program from Standard Process. Dr. Nicholai can create an individualized program for you or include you in group sessions, depending on your needs. This is a tried and true method to permanently change your relationship with food for the better. 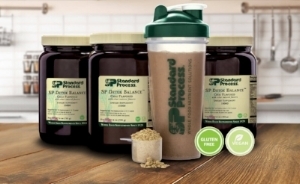 The Standard Process Purification Program is not strictly a cleanse diet, but rather a structured program that combines whole food eating with supplements, nutritious supplement shakes, and light exercise. It lasts either 10 or 28 days, depending on your needs, and thhe menu includes an abundance of fresh vegetables and fruits and healthy whole foods. When you’ve completed the purification program, you’ll transition to a new way of eating to feel your best based on enjoyable, healthy food. Evaluate your lifestyle and see how you score!